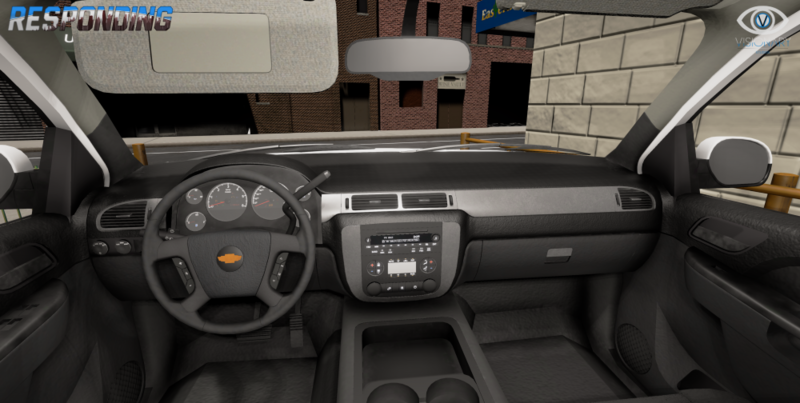 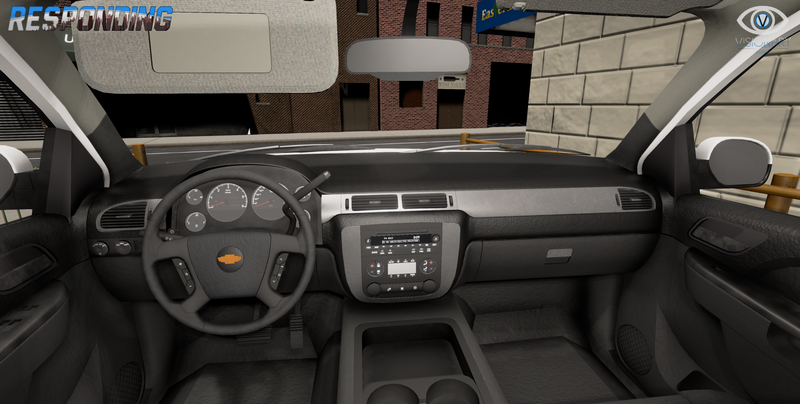 The spotlight can be rotated around and pointed at objects manually using the mouse, while holding down the correct button. 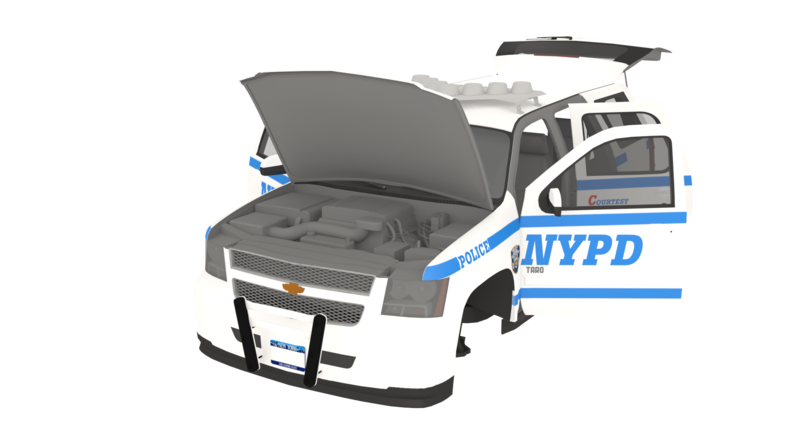 News Announcement, July 9th 2016 | Mobile Data Computer. 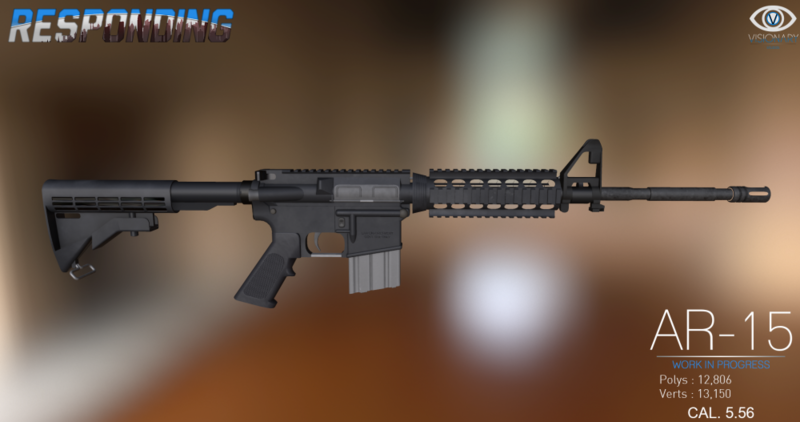 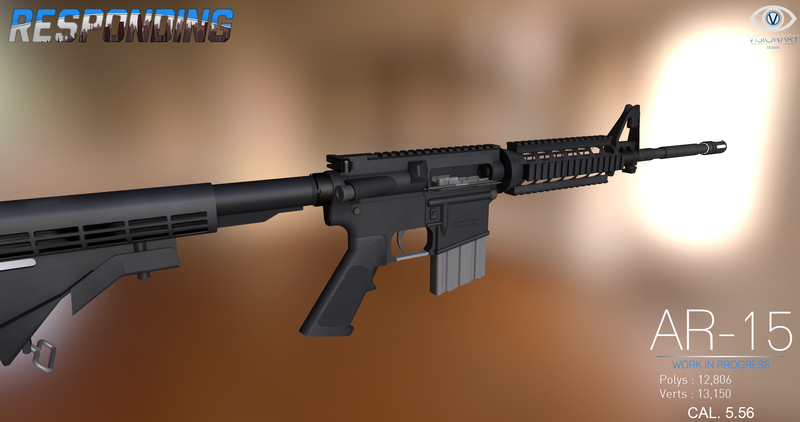 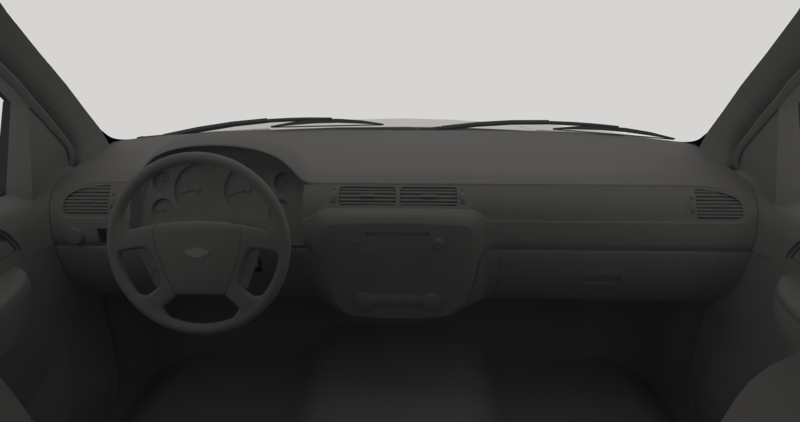 Make sure to let us know what you think, keep in mind that these are early stages of the data computer and loads of information and detail will be added over time! 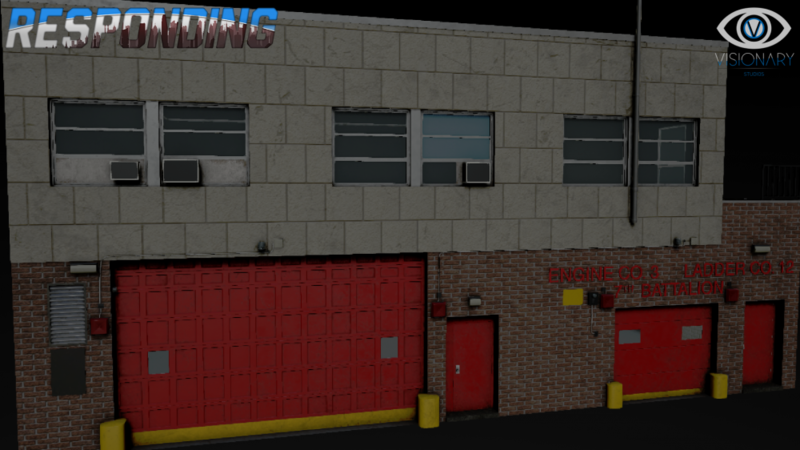 News Announcement, July 1st 2016 | Message Board. 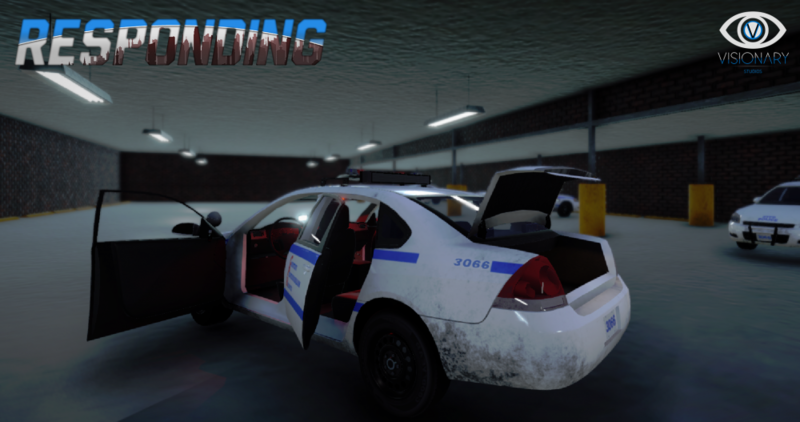 Our new video is now live! 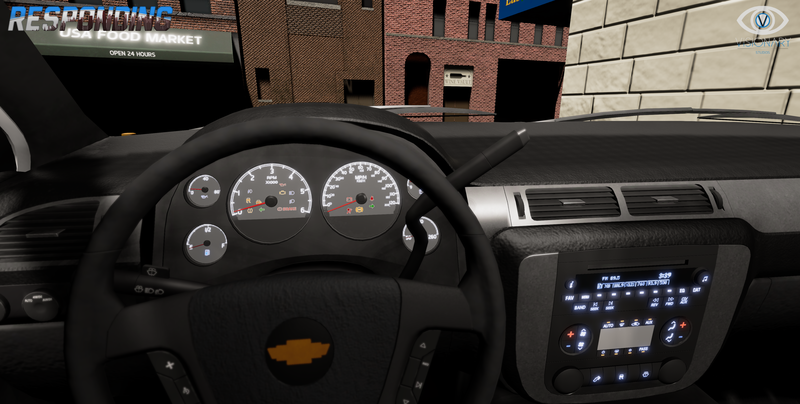 It covers our Message board which has 8 presets that are fully customizable! 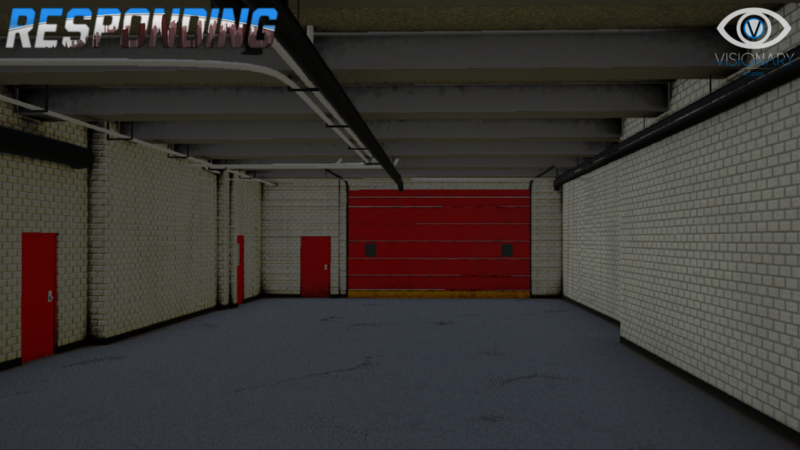 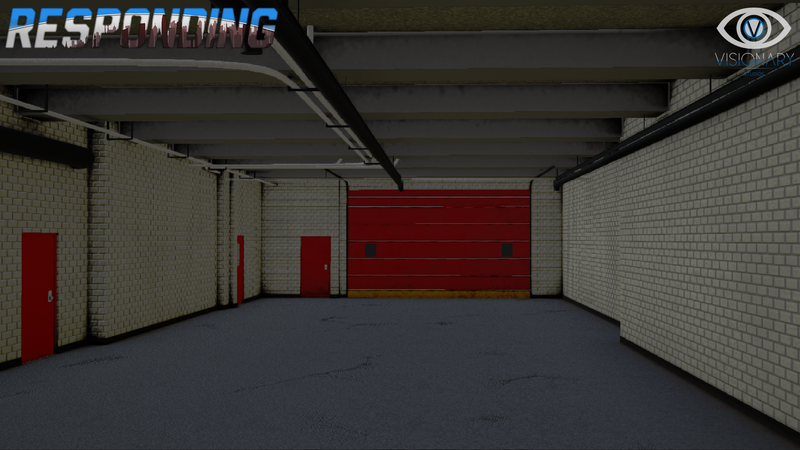 We haven't been posting a lot of regular updates, because we had end of year exams going on and we were working on things that can be appreciated more in a video! 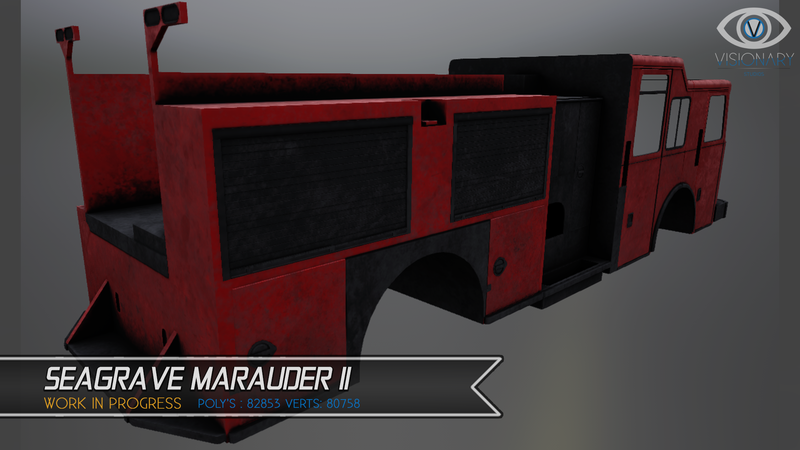 Customization is something that we think is very important to keep a game alive, so we made sure it's something we implement! 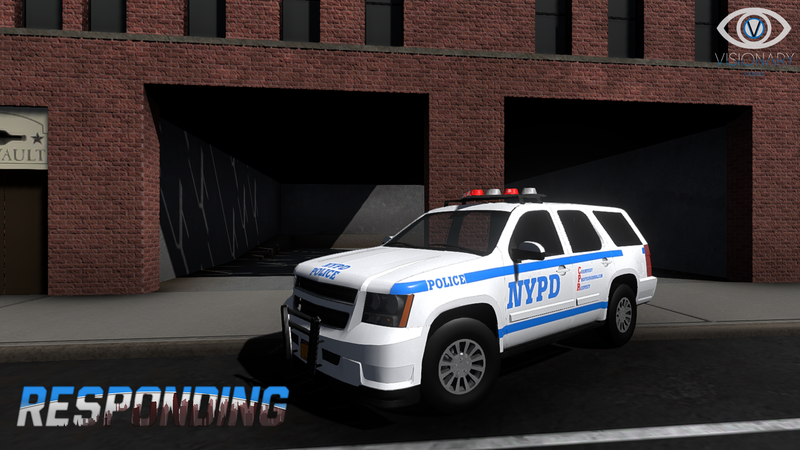 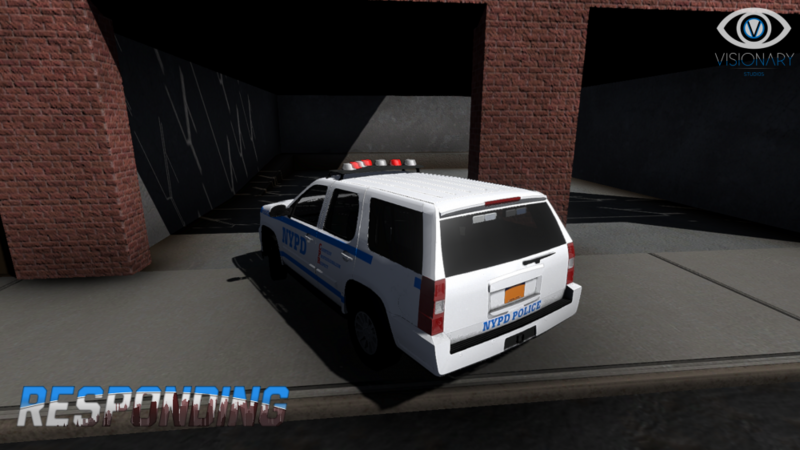 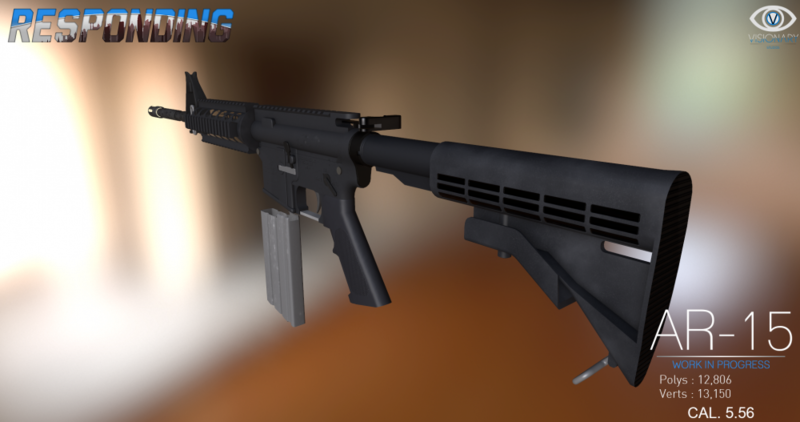 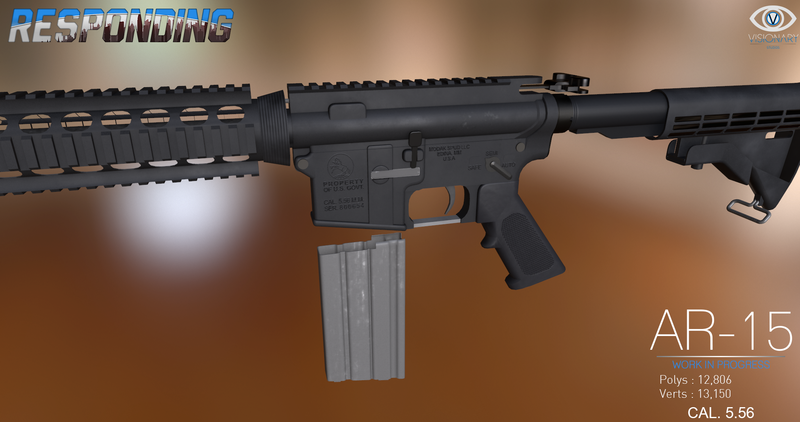 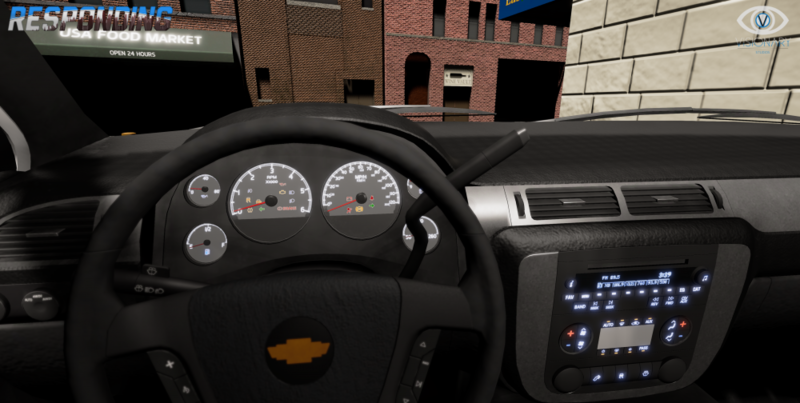 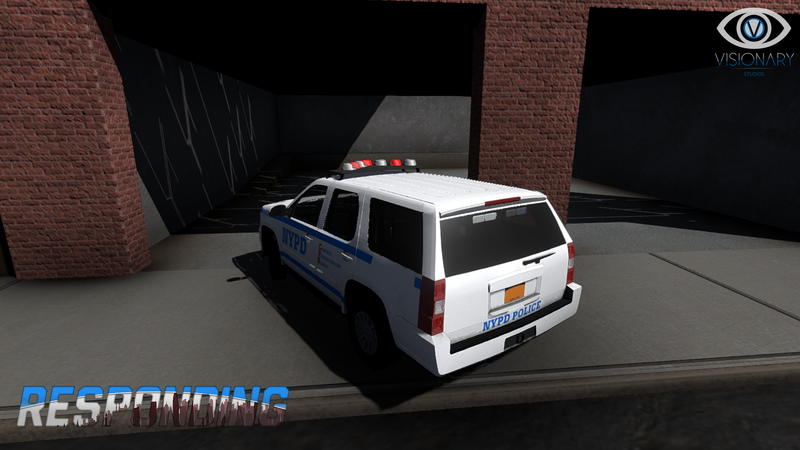 The system also supports modding, which will be shown down the road! 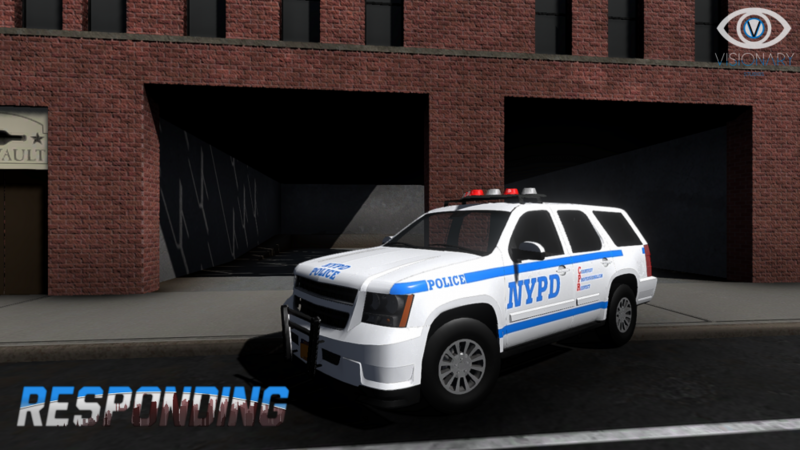 Enjoy the video, and let us know if you like it! 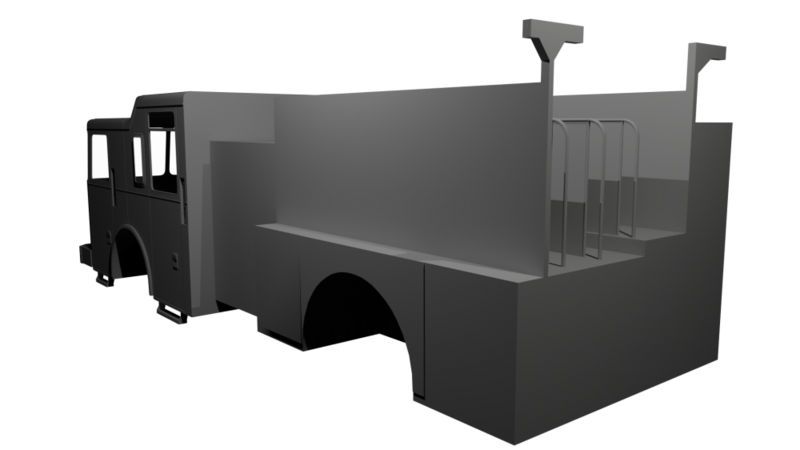 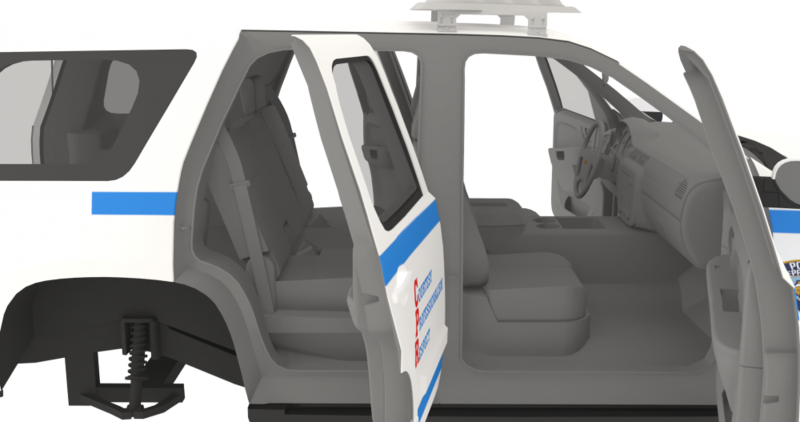 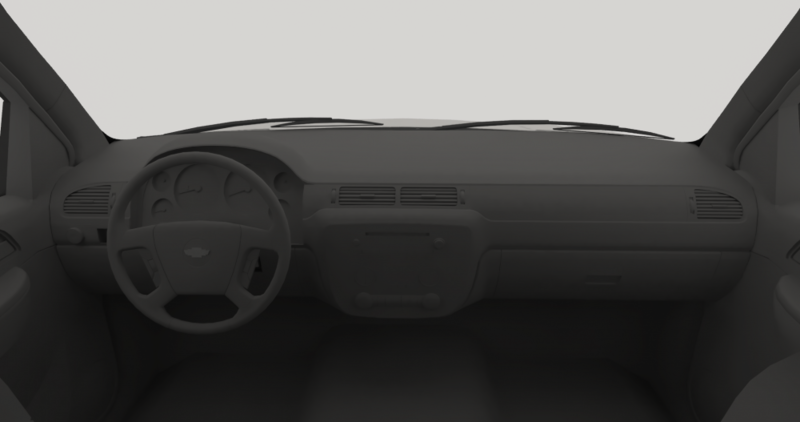 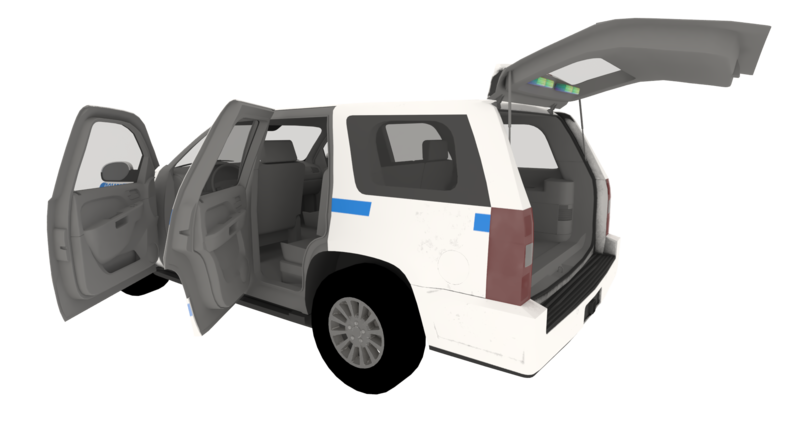 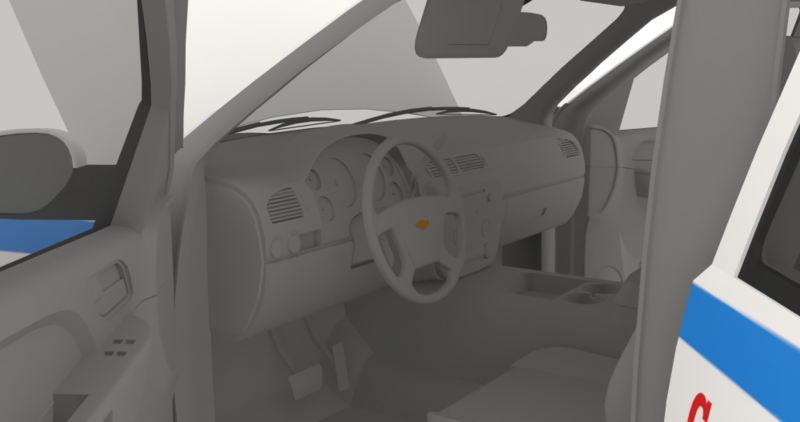 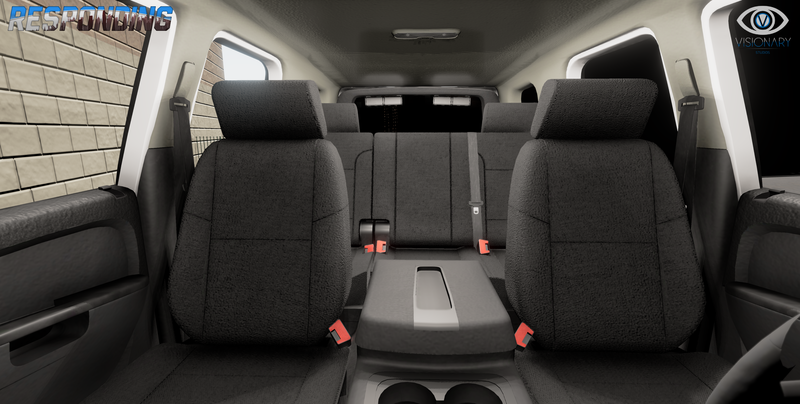 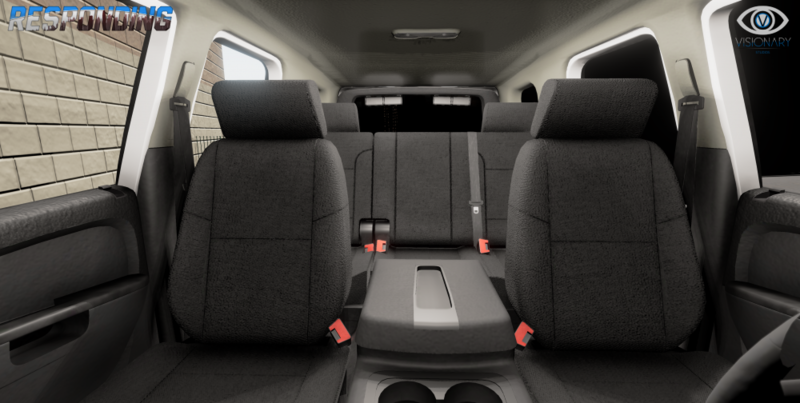 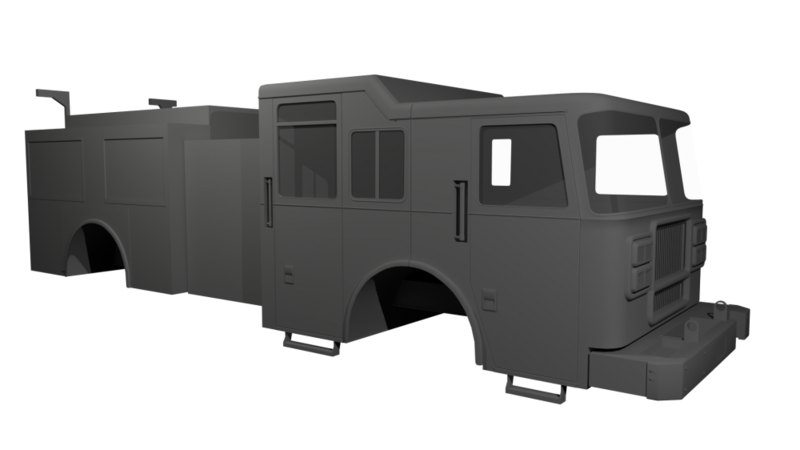 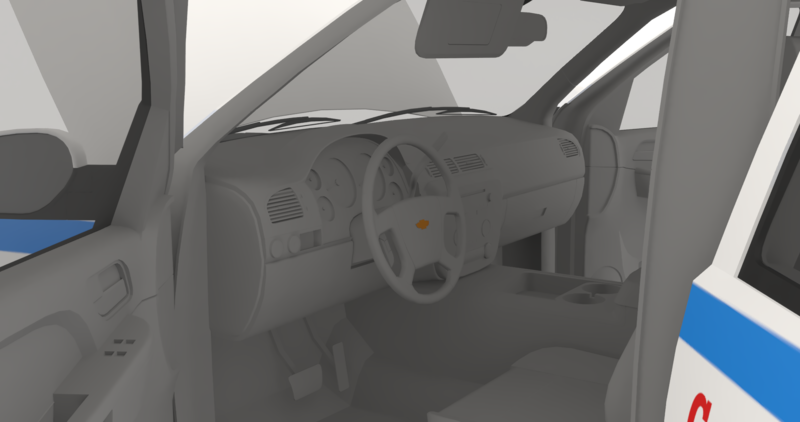 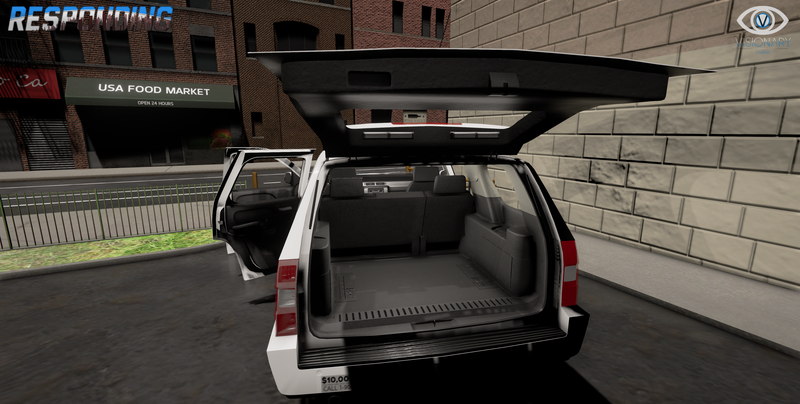 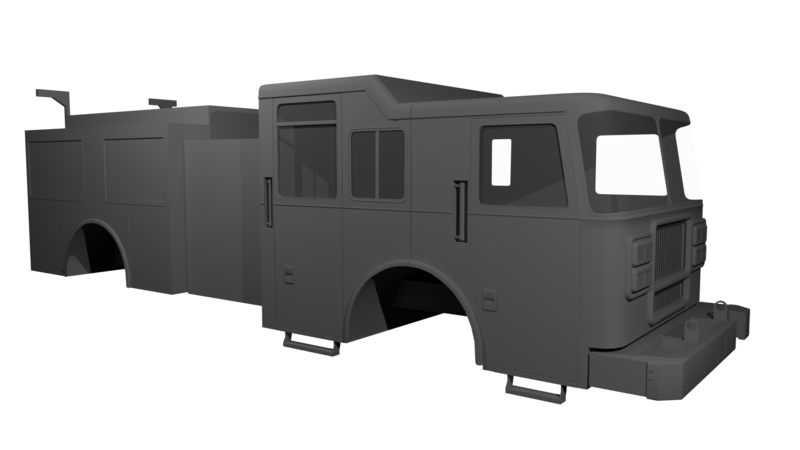 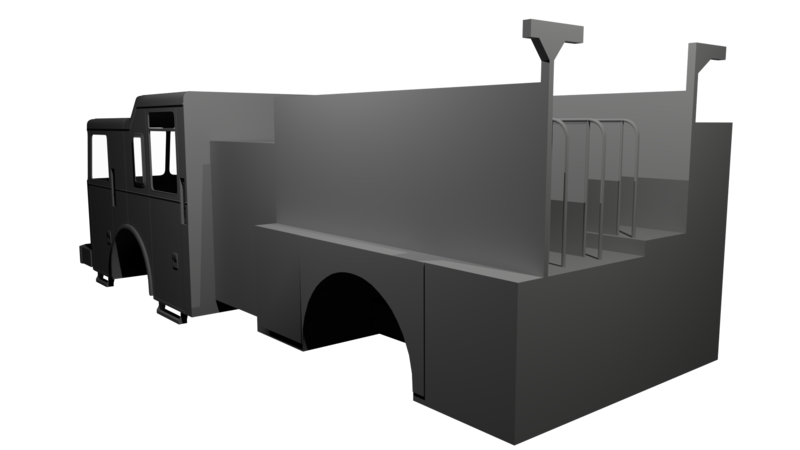 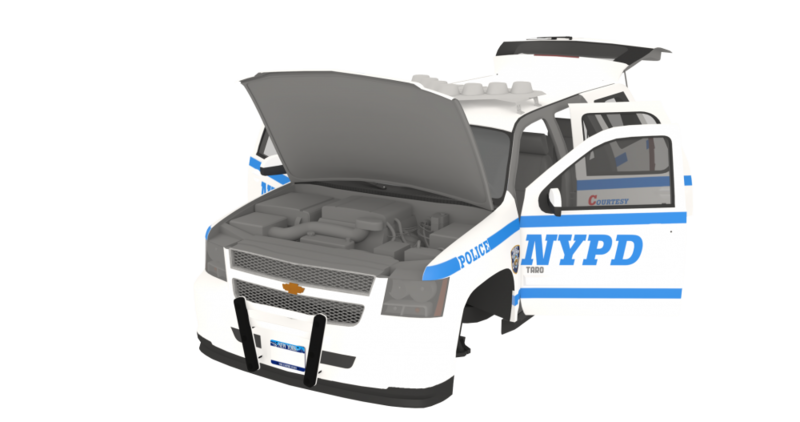 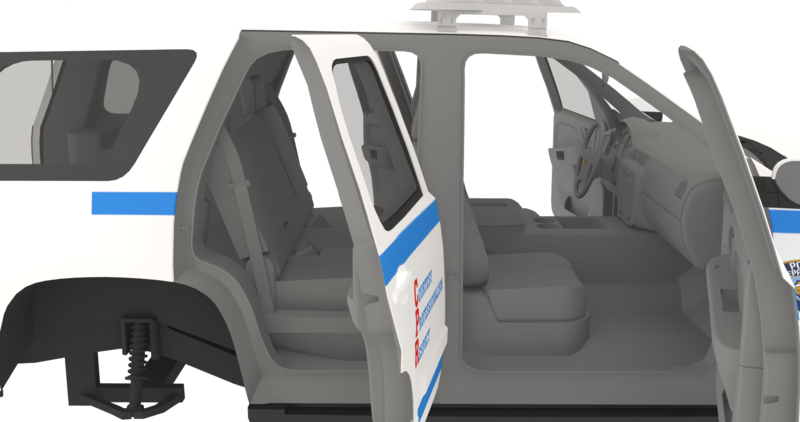 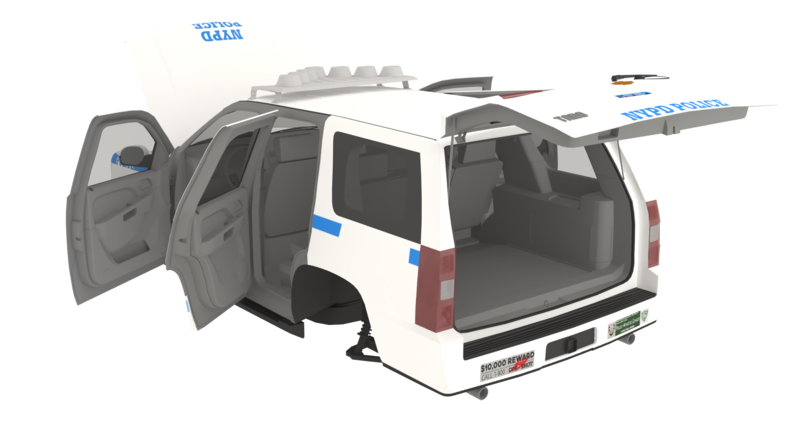 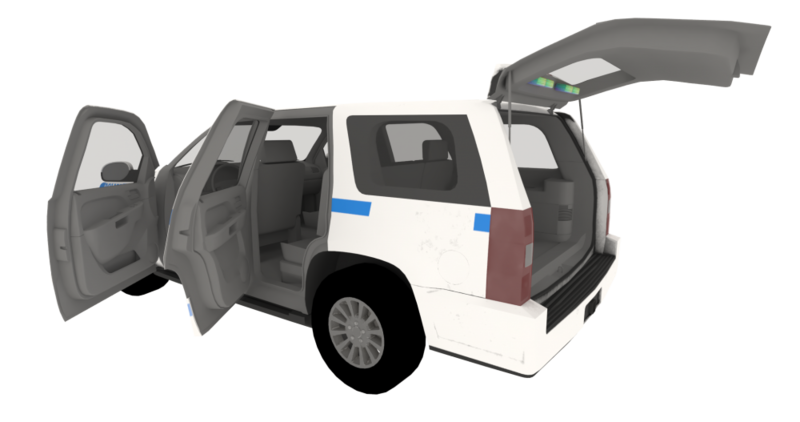 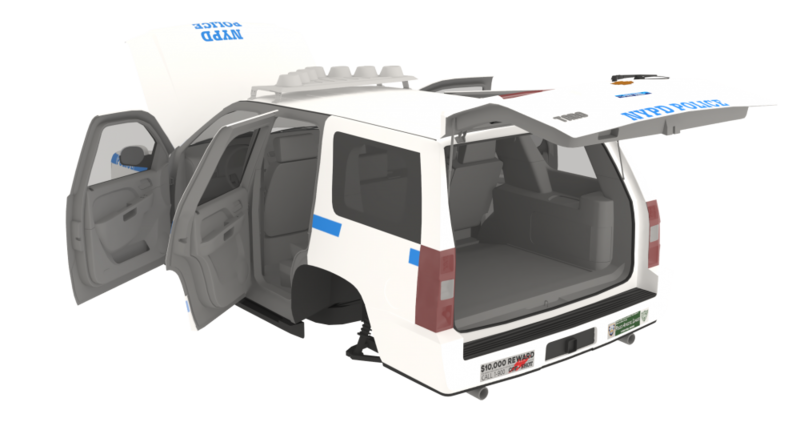 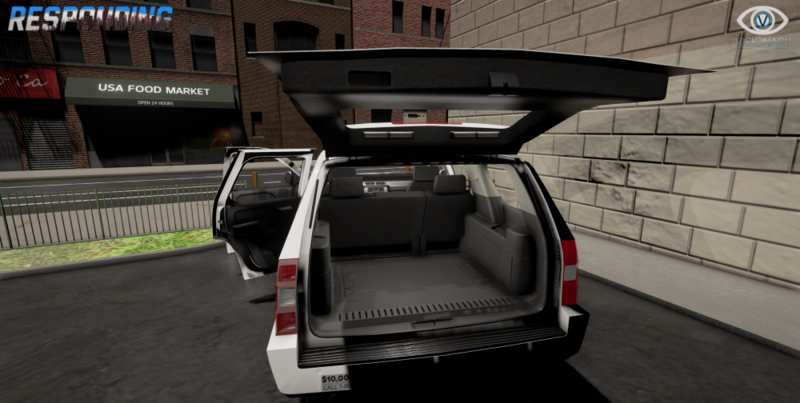 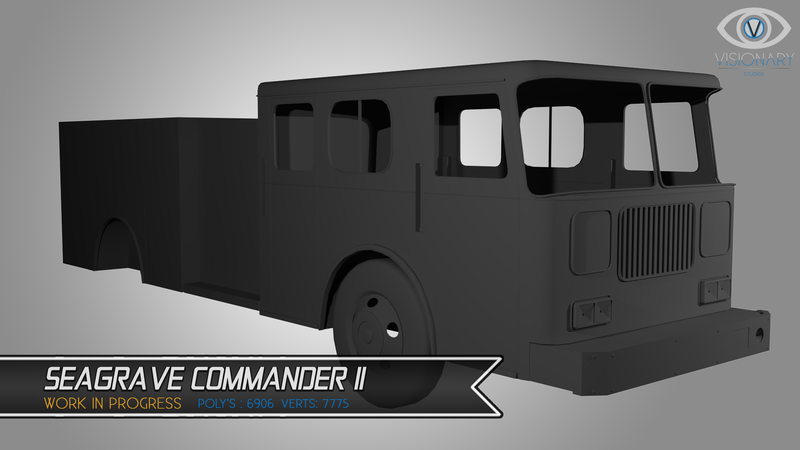 News Announcement, April 30th 2016 | WIP Vehicles. 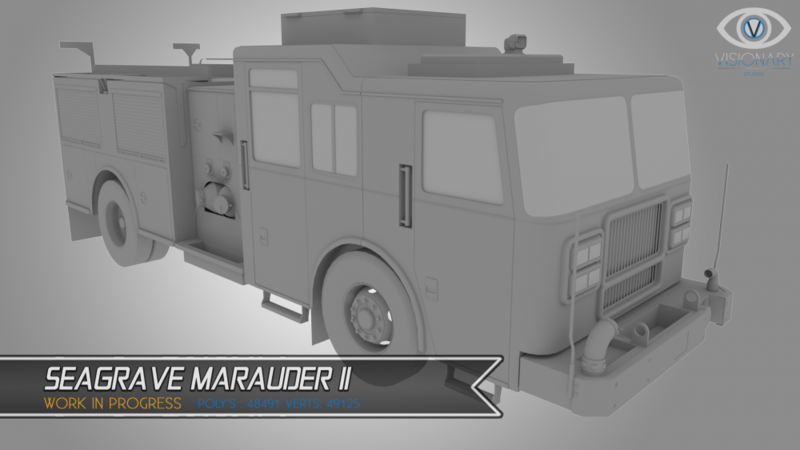 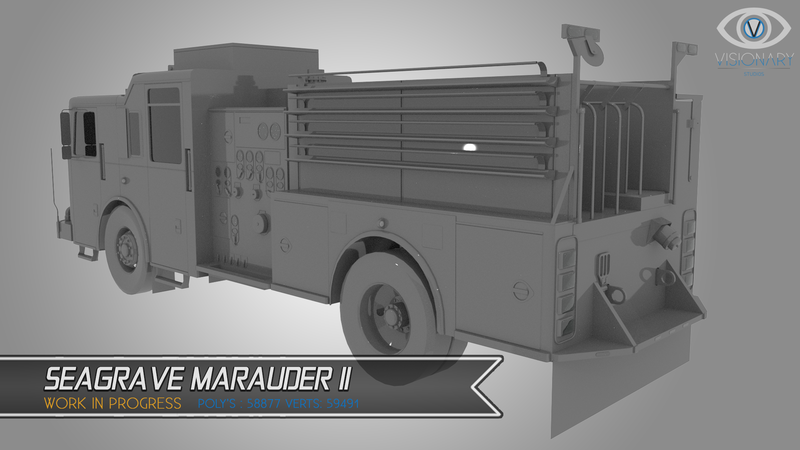 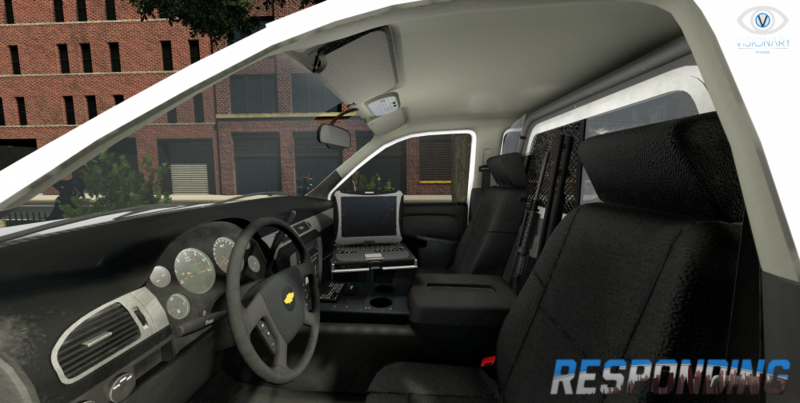 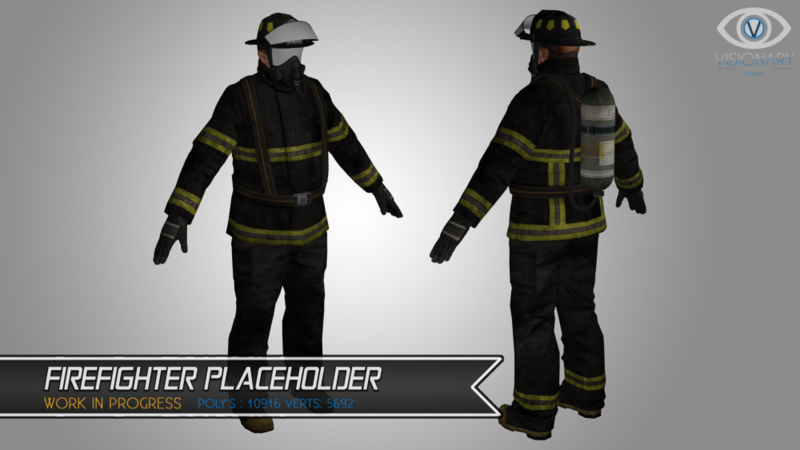 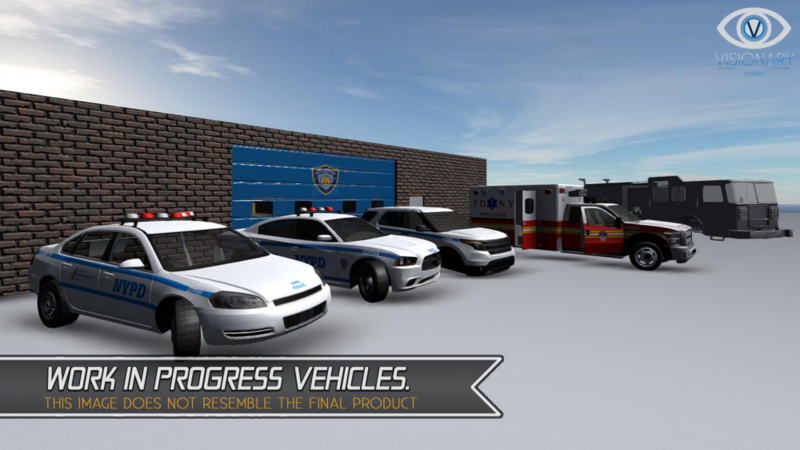 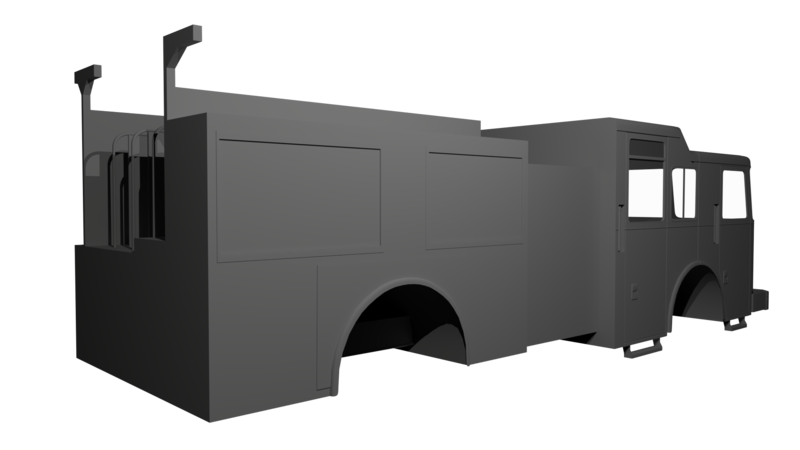 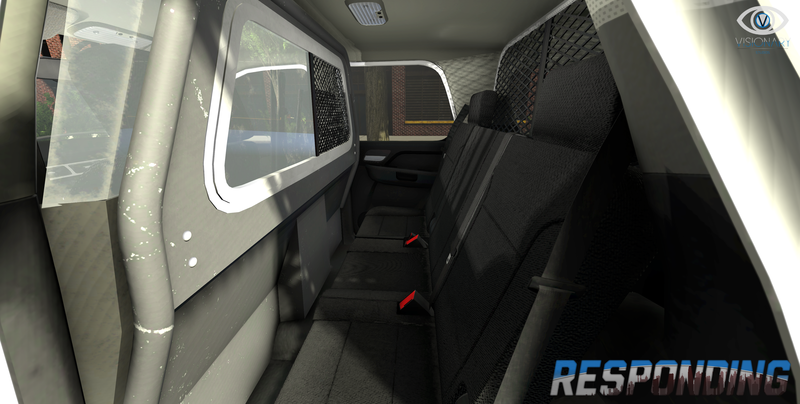 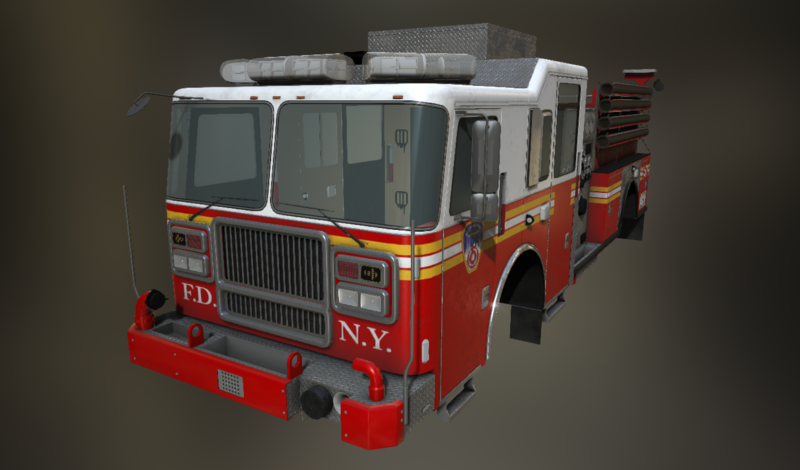 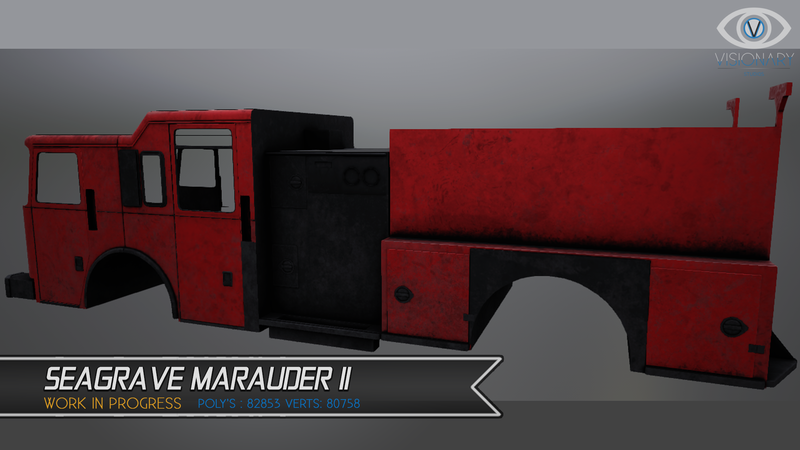 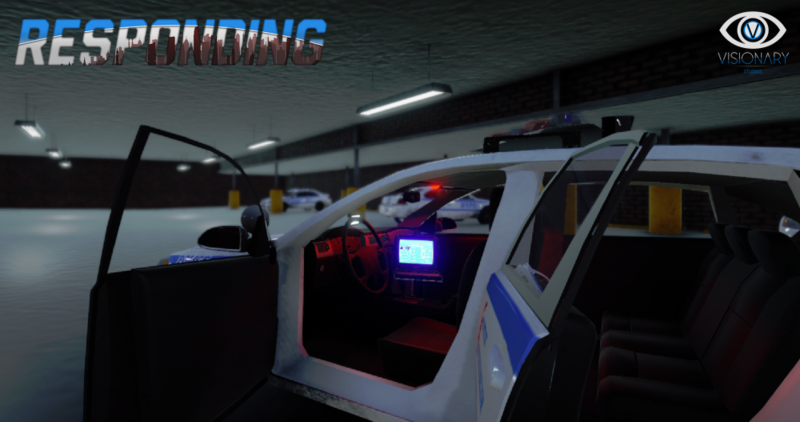 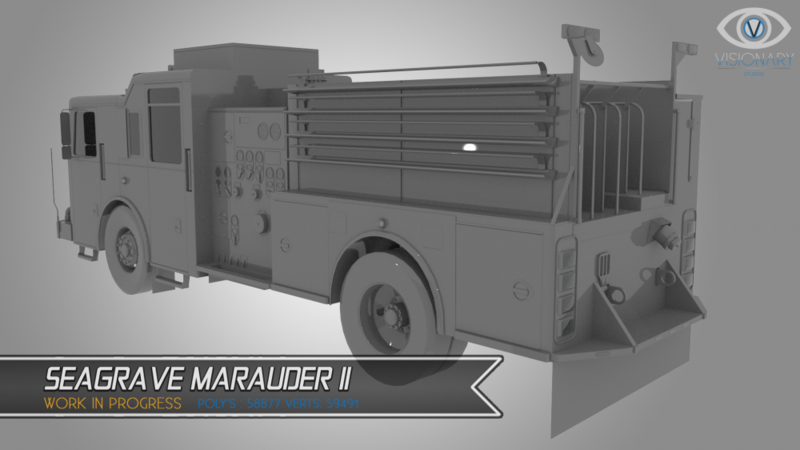 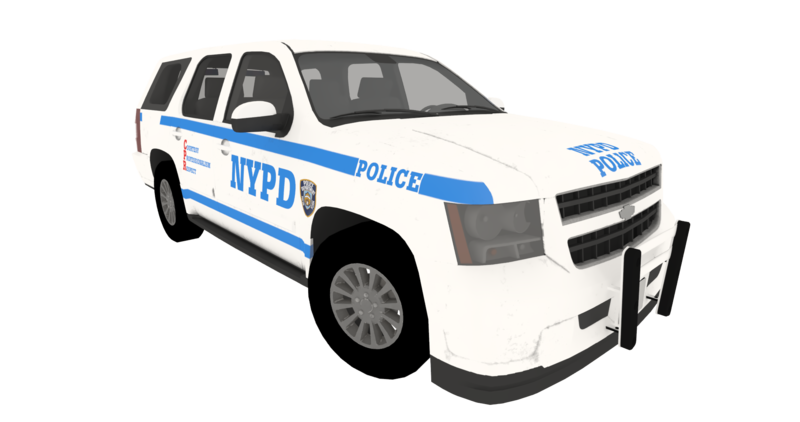 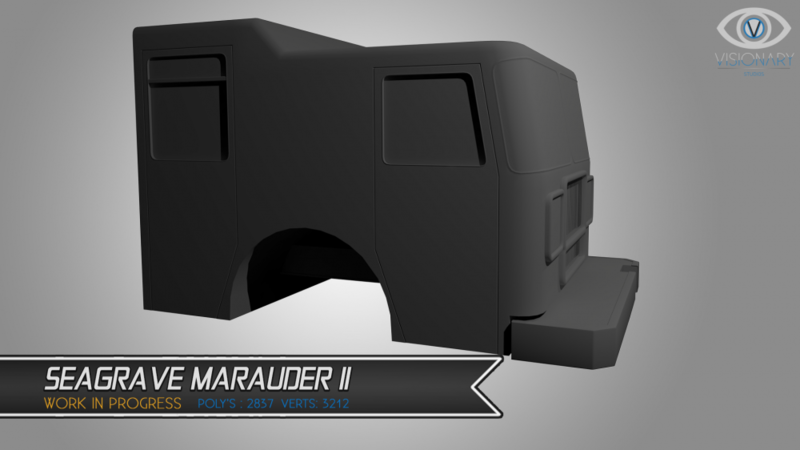 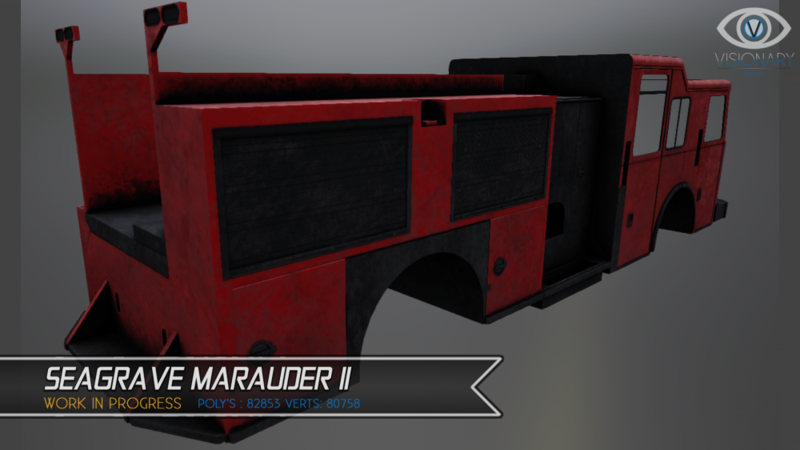 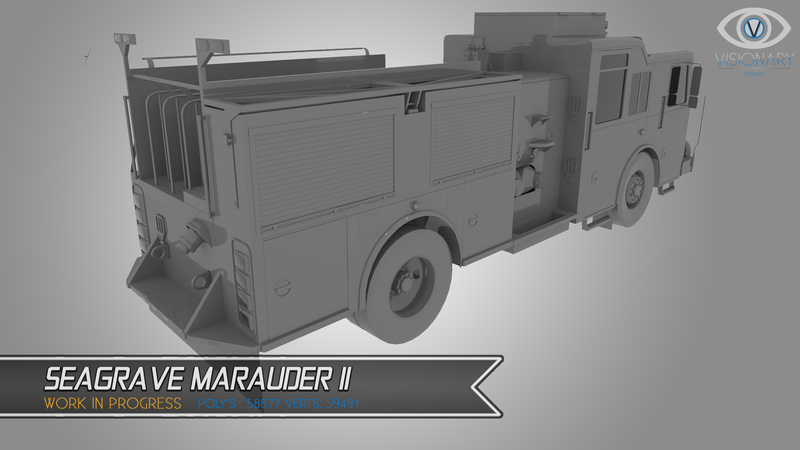 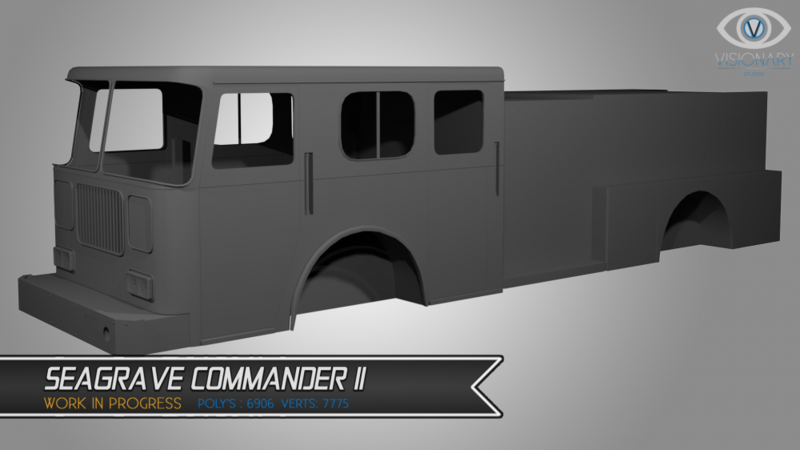 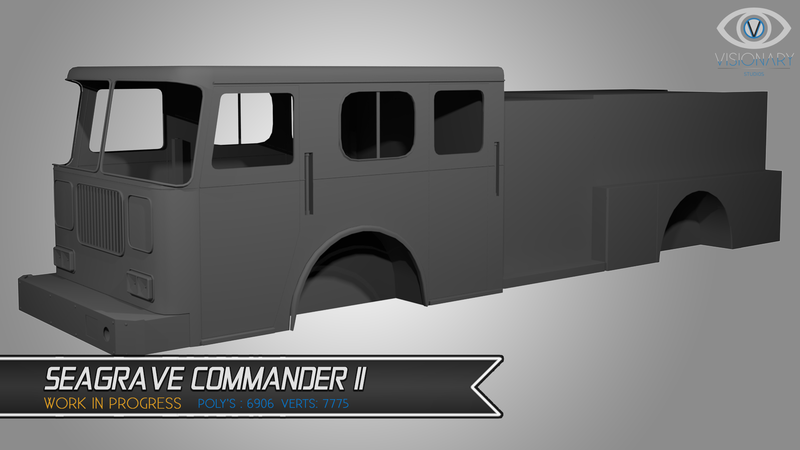 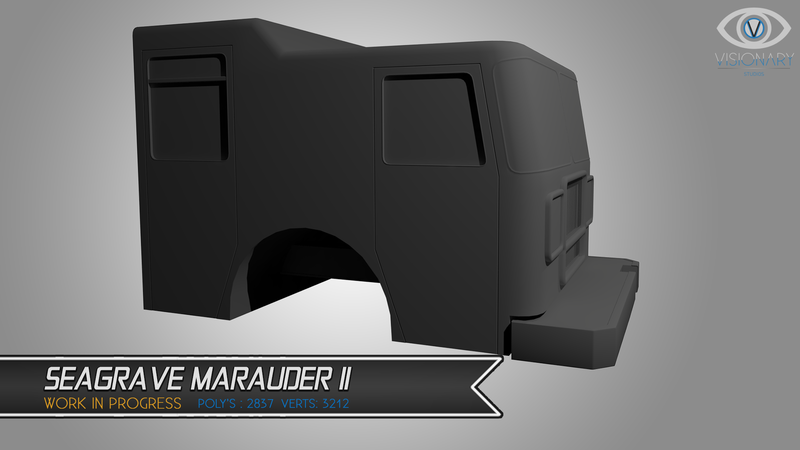 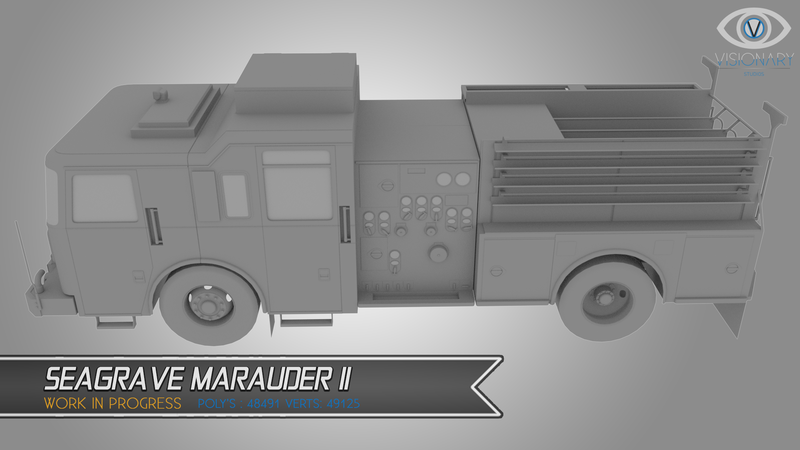 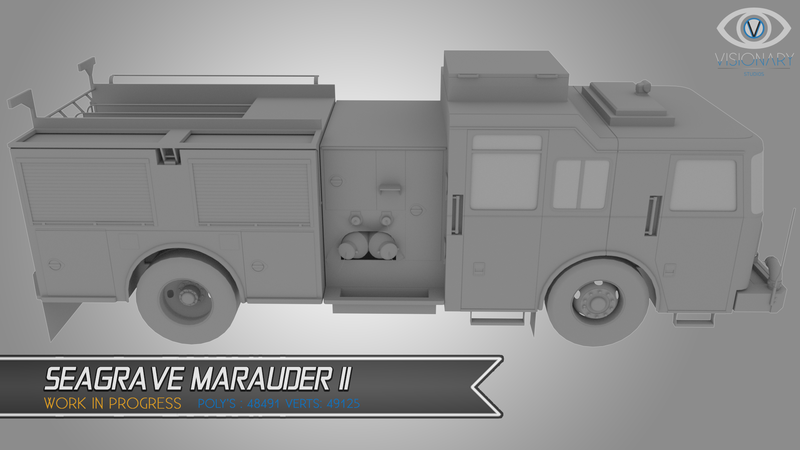 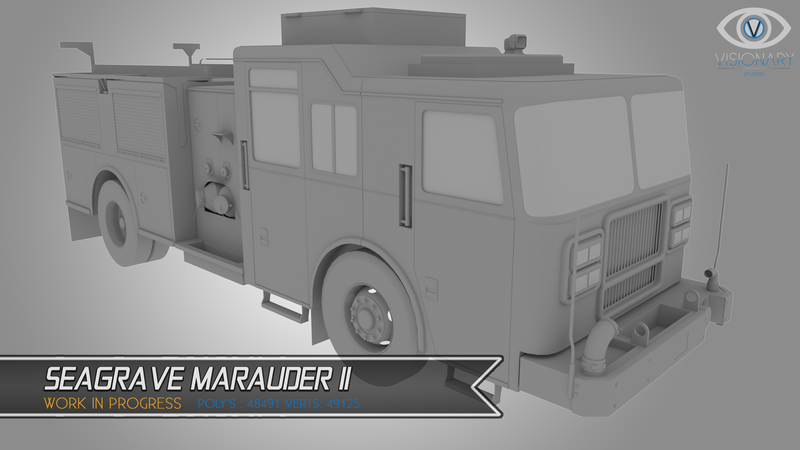 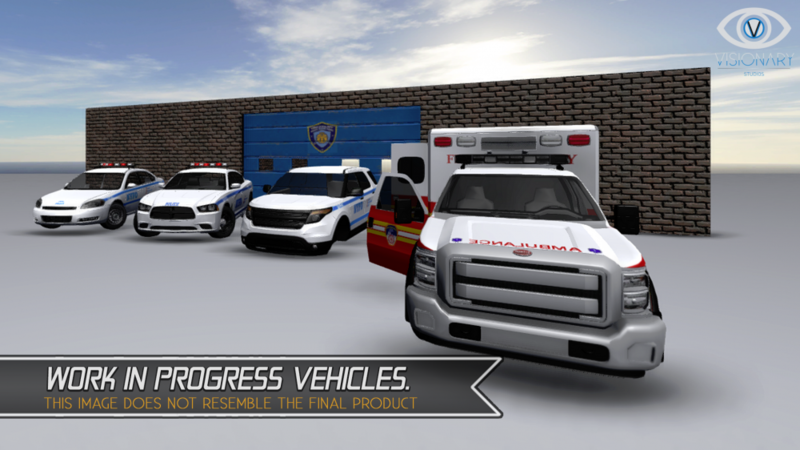 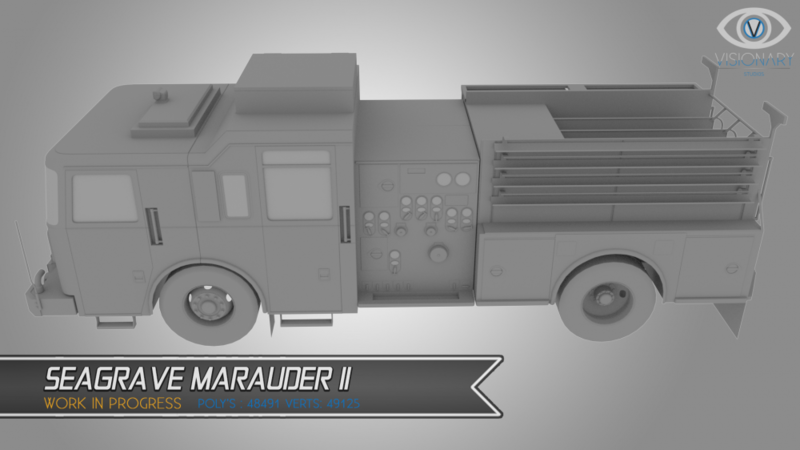 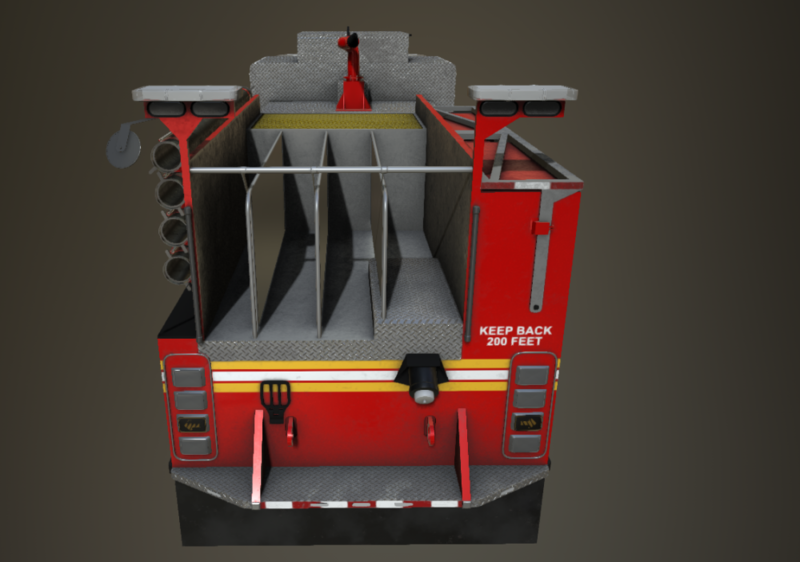 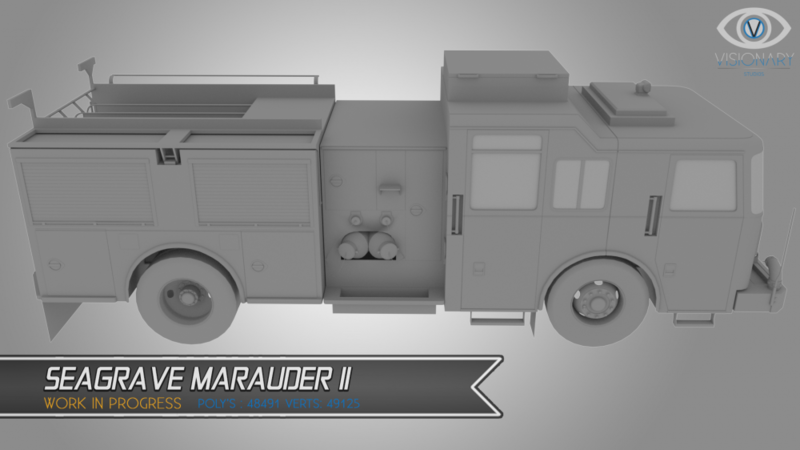 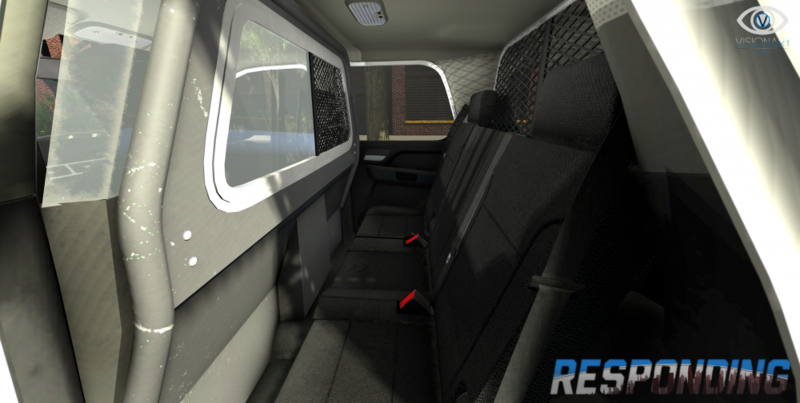 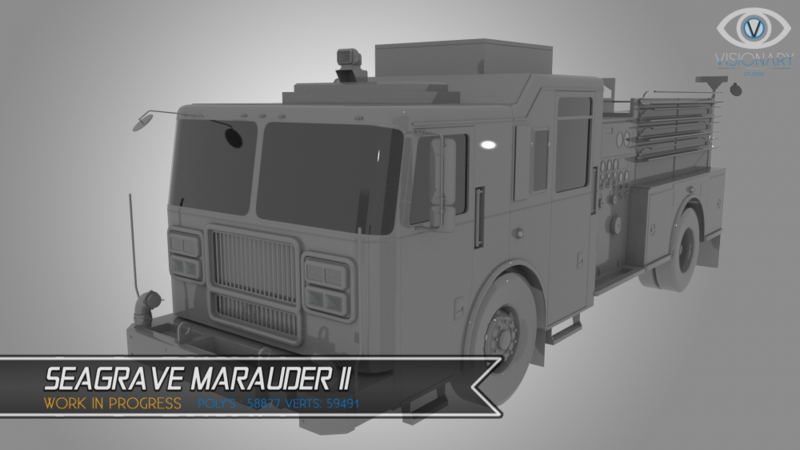 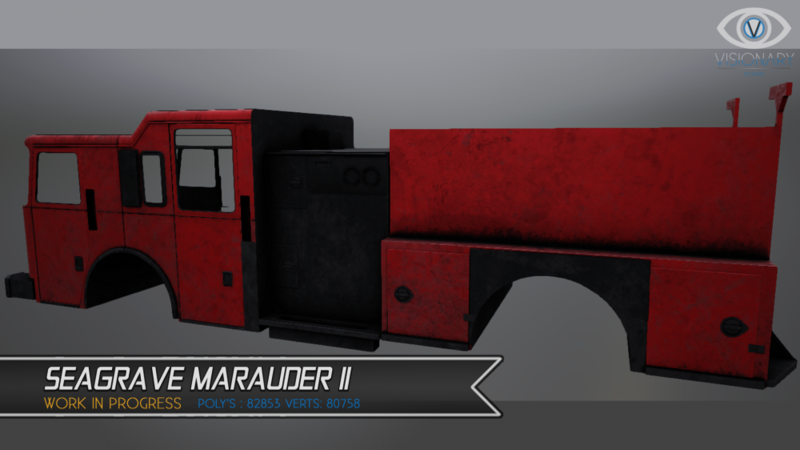 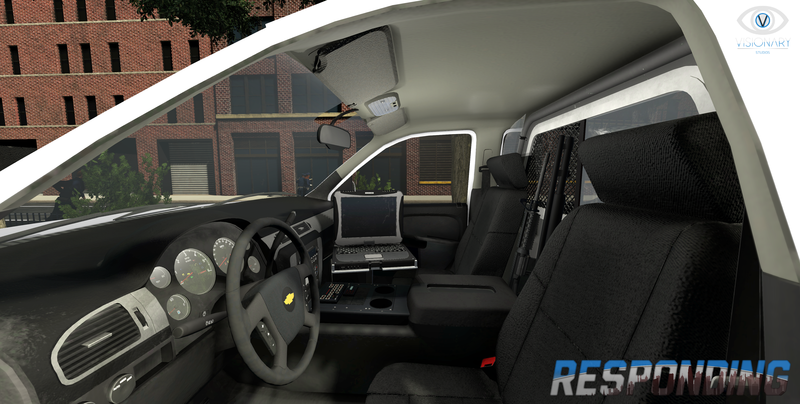 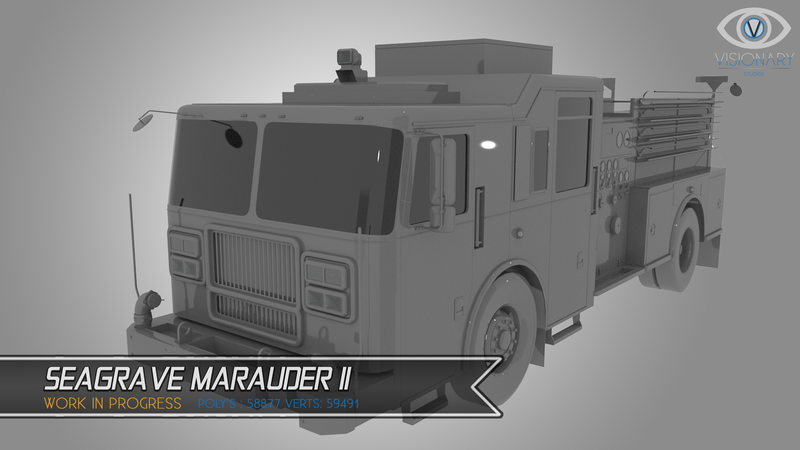 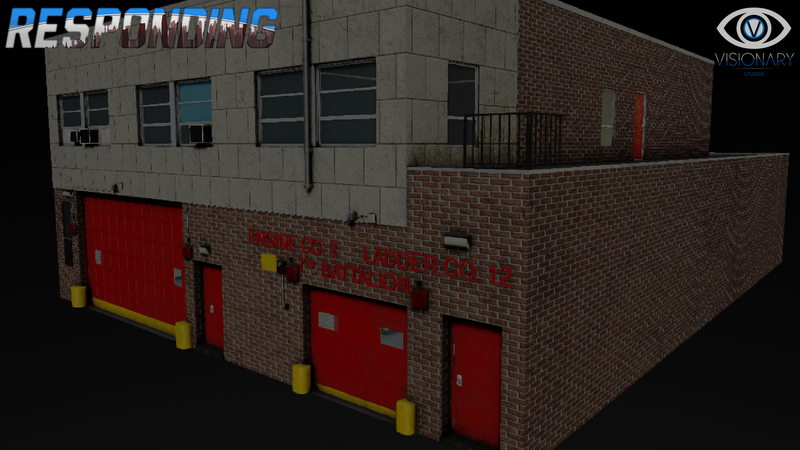 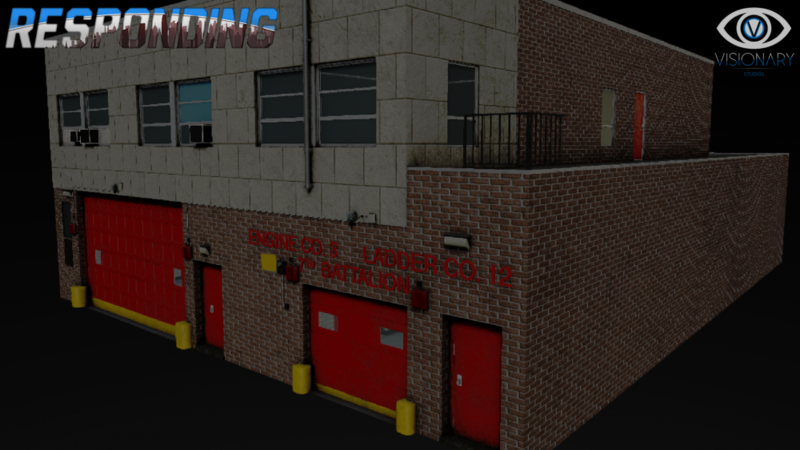 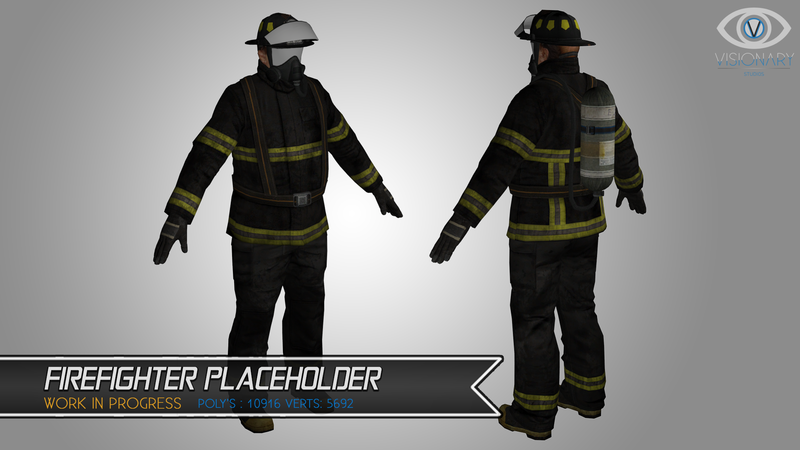 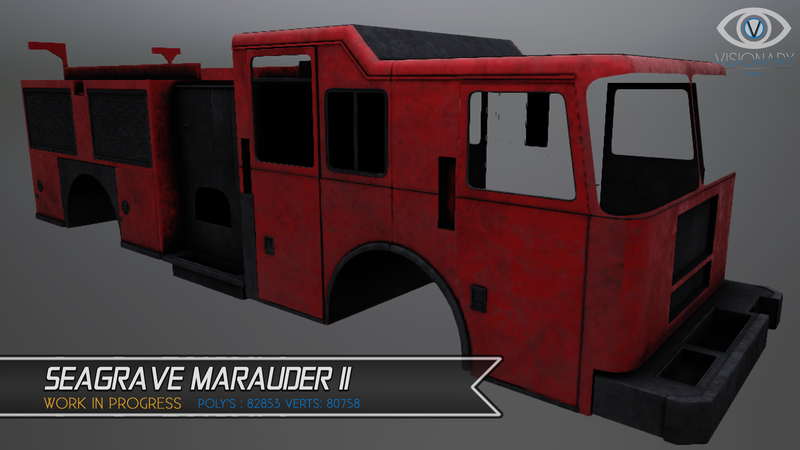 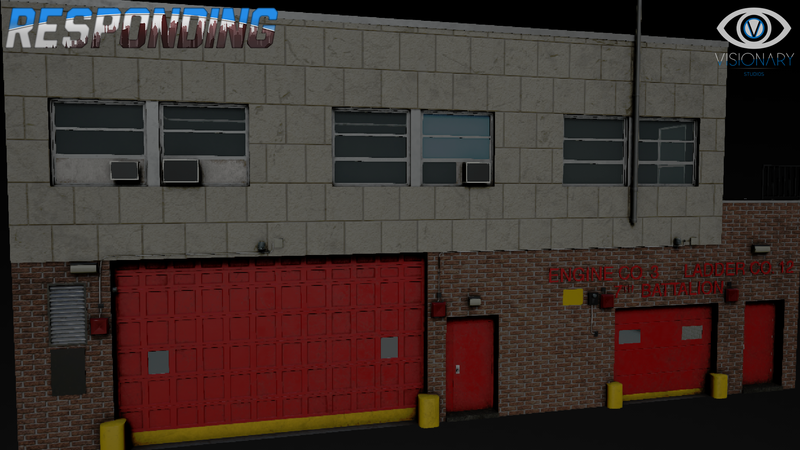 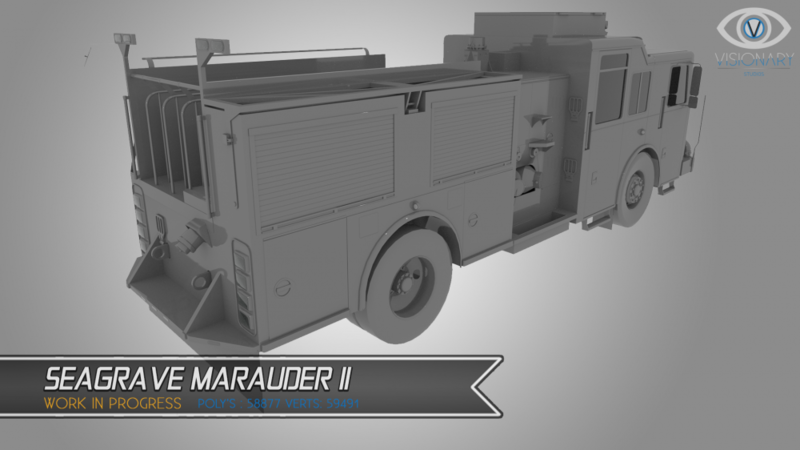 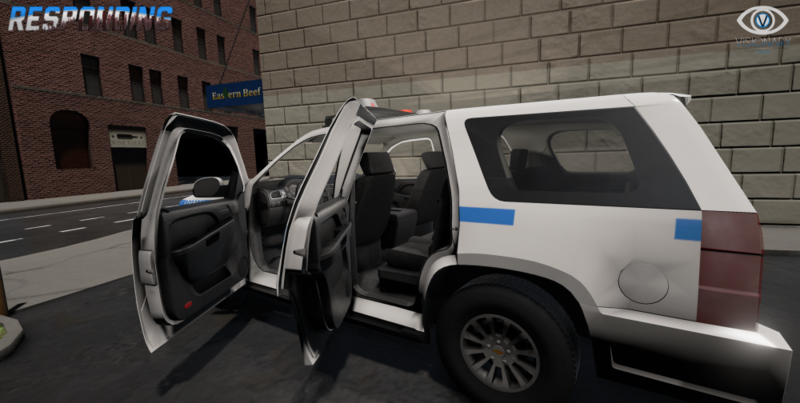 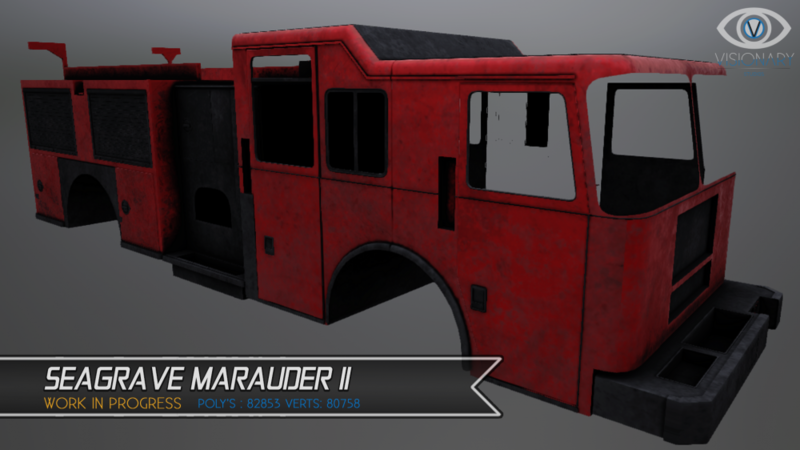 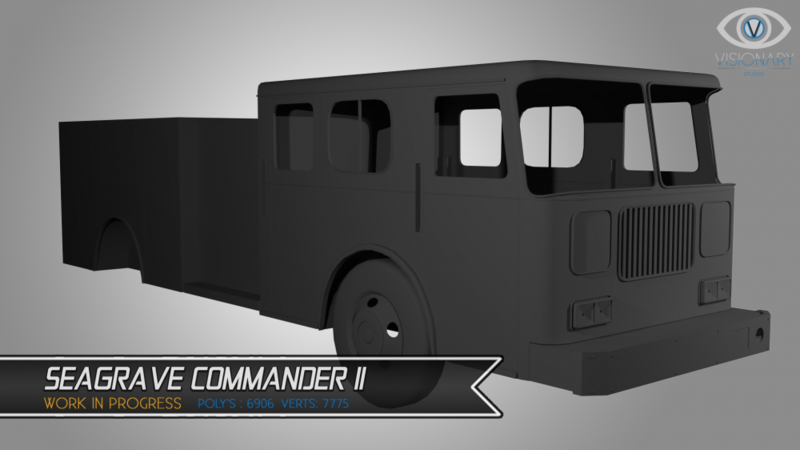 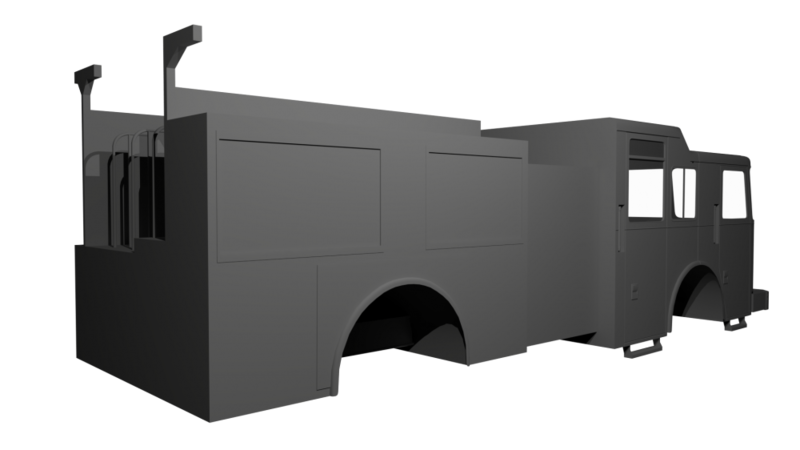 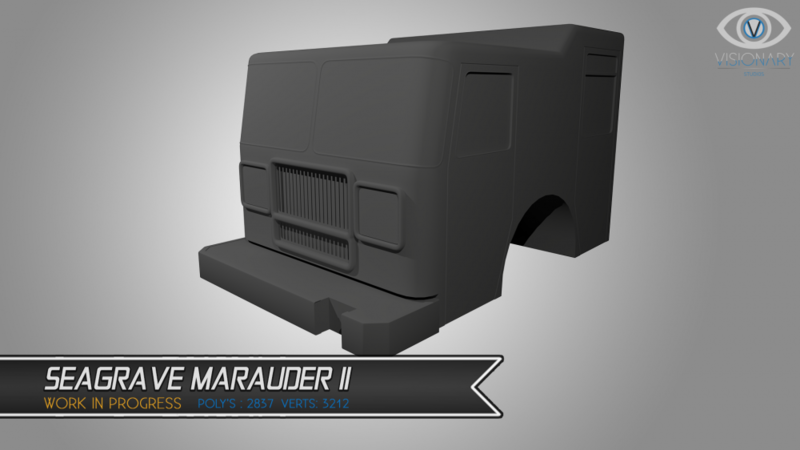 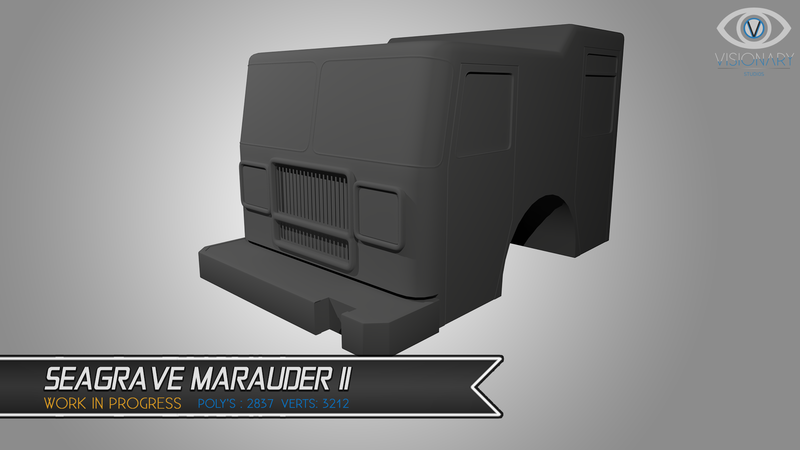 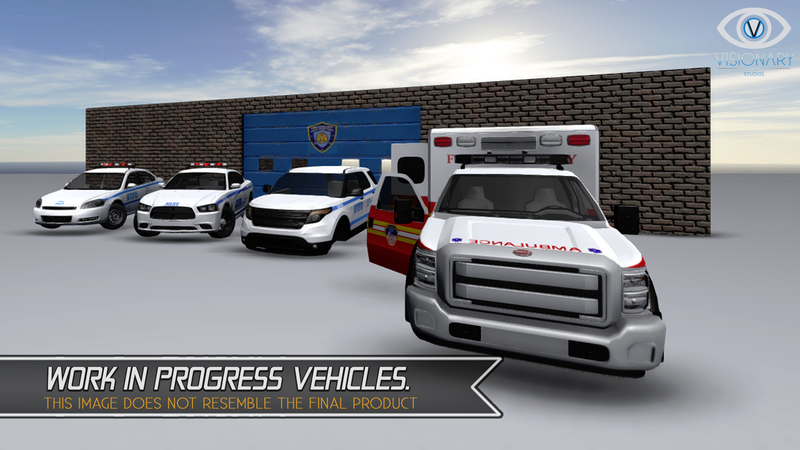 This week we have focused on the Seagrave Marauder II, but we don't want to show the same gray vehicle week in week out so here are some screenshots of old vehicles some of you haven't seen yet, they all need allot of work before they are finalized, such as textures or just finishing the modeling this all is very time consuming. 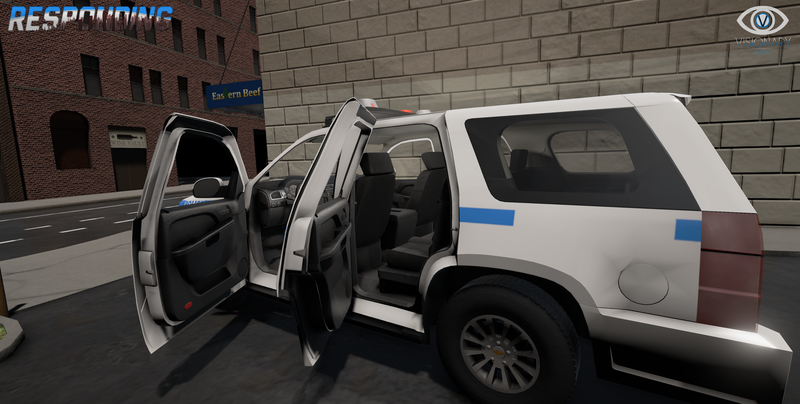 The screenshots where NOT taken with the new shaders, no worries once a vehicle is finished we are creating a detailed video with the new shaders. 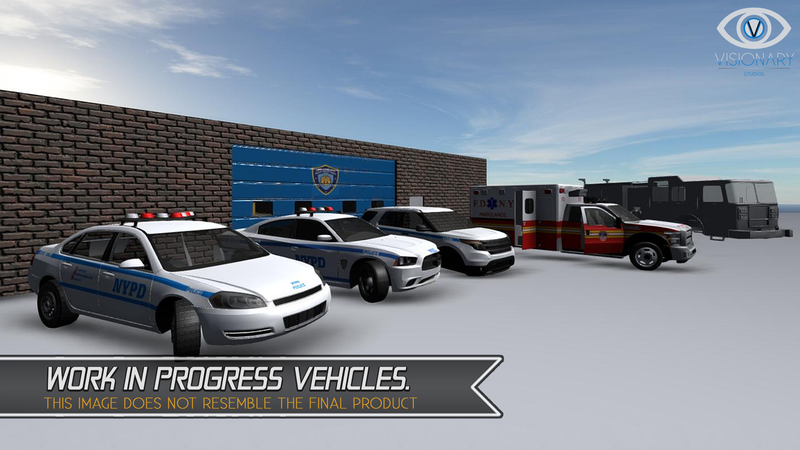 We have decided to change our project name to "Responding" and our studio name will be "Visionary" as you can see all of our platforms are changed to responding. 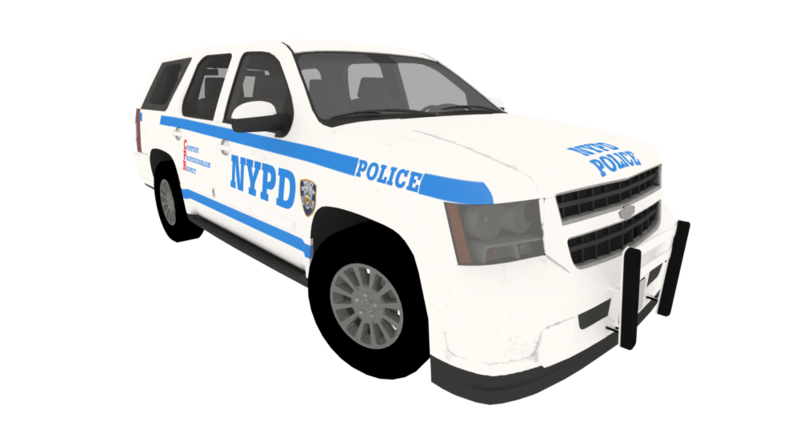 This page is no longer affiliated with FlipSwitchGames or EmergeNYC, we no longer represent EmergeNYC's product.